Jacob Edward "Jake" Peavy (born May 31, 1981) is an American professional baseball pitcher who is a free agent. He has played in Major League Baseball (MLB) for the San Diego Padres, Chicago White Sox, Boston Red Sox and San Francisco Giants. He bats and throws right-handed. Peavy stands 6'1" tall (1.85 m) and weighs 195 pounds (83 kg). While with the Padres, he won the 2007 NL Cy Young Award after recording the Pitching Triple Crown that year. He was traded from the White Sox to the Red Sox in 2013 and helped them to a World Series title later that season. One year later, he was traded to the San Francisco Giants, where he also helped them win a World Series title later in the season. He became the first starting pitcher in Major League history to win two consecutive World Series with two different teams in two different leagues, including being traded by his former team at the trade deadline. Peavy wore the number 44 throughout his career. When he was traded to the San Francisco Giants, he took number 43, as 44 was retired in honor of Willie McCovey. After struggling in the middle of the 2014 season, he changed to 22. Peavy pitched for the Arizona League Padres and the Idaho Falls Braves in 1999 and the Fort Wayne Wizards in 2000. In 2001, Peavy played with the Lake Elsinore Storm and the Mobile BayBears. He split the 2002 season between the BayBears and the San Diego Padres. Peavy was called up from Double-A to make his major league debut on June 22, 2002 against the New York Yankees at Qualcomm Stadium. He lost the game, allowing one run on 3 hits in 6 innings while striking out 4. In total, Peavy had 6 wins and 7 losses with a 4.52 earned run average (ERA) and 90 strikeouts. The Padres won just 66 games and were in the cellar of the NL West. In his sophomore season, Peavy started 32 games (194.2 IP), with a 4.11 earned run average, a 12–11 record, and 156 strikeouts. The Padres finished last in their division again at a 64–98 record. During his third year of major league experience in 2004, Peavy emerged as the Padres' ace starting pitcher and one of the best pitchers in baseball. He compiled a 15–6 record, struck out 173 in 166 innings, and led Major League Baseball with a 2.27 ERA. He became the youngest pitcher to win an ERA title since Dwight Gooden in 1985. On September 17, 2004, Peavy allowed Barry Bonds' 700th career home run. On March 5, 2005 he signed a four-year 14.5 million contract and held a club option for 2009 extension with the Padres. After the Padres won the National League West in 2005, Peavy was widely considered the key to upsetting the St. Louis Cardinals, whom they faced in the National League Division Series. Peavy gave up eight runs in the first game, and afterwards it was announced that he would miss the rest of the season with a broken rib, which he apparently suffered while celebrating the Padres clinching the NL West Championship. Peavy was the captain of Team USA in the 2006 World Baseball Classic, held in San Diego. He started the opening game for the U.S., a 2–0 win over Mexico, giving up just one hit and no runs over three innings. He did not factor in the decision in the second round game against Japan, as he gave up three runs in five innings in a game that the U.S. won, 4–3. On July 1, 2007, for the second time in his career, Peavy was named to the 2007 NL All-Star Team. On July 9, he was named as the starting pitcher for the NL. On August 2, Peavy struck out Arizona Diamondbacks outfielder Jeff DaVanon, for his 1000th career strikeout. Peavy won the pitching Triple Crown in 2007, leading the National League with 19 wins, 240 strikeouts, and a 2.54 ERA. Since the divisional play era started in 1969, Peavy is only the eighth player to accomplish this feat. On October 23, Peavy won the Players Choice Award for Outstanding NL Pitcher. He added the NL Cy Young—as a unanimous choice—on November 15, becoming just the 10th National League player in history to win the Cy Young Award in a unanimous vote (Sandy Koufax was unanimously selected three times). On April 5, 2008, Peavy pitched a two-hit complete game over the Los Angeles Dodgers. The following day, still-images from FOX sports video feed from the game showed a dirty, brown substance on the index and middle fingers, along with his thumb. Manager Bud Black defended Peavy saying that "it was a mixture of dirt and rosin". In the two games immediately following the report, Peavy posted a 1–0 record with a 1.92 ERA. In May, he went on the DL with a sore throwing elbow. He returned on June 12 and pitched six shutout innings with four strikeouts. He ended 2008 with only a 10–11 record, but had one of the lowest run support per start of any pitcher in the league, and finished the season with a 2.85 ERA. Peavy had been the subject of numerous trade rumors during the 2008 offseason, amidst reports that the Padres were looking to reduce salaries and build on young players for the future. In November 2008, Peavy added the New York Yankees to the list of teams he would accept a trade to. The list included several teams from the NL including the Atlanta Braves, St. Louis Cardinals, the Chicago Cubs, the Los Angeles Dodgers, and the Houston Astros. Peavy preferred to be in the NL, so the Yankees would not be involved. The Astros and Cardinals decided they would not pursue Peavy after talking with GM Kevin Towers on what they would have to give up. In November 2008, the Padres were working with the Braves on a Peavy trade, in which Peavy would be traded to Atlanta for SS Yunel Escobar, OF Gorkys Hernández, P Blaine Boyer and one of P Charlie Morton or P Jo-Jo Reyes. The Padres wanted the two top prospects in the organization as well, pitcher Tommy Hanson and outfielder Jordan Schafer, but after a few weeks, the Braves decided to move on to bring in a few free agents. In spring training, Peavy pitched 14 total innings with no runs allowed, 10 strikeouts and no walks. He rejected a trade to the Chicago White Sox, which included Aaron Poreda and Clayton Richard, saying that remaining in San Diego was best for him and his family. On May 22, Peavy hurt his ankle rounding third base against the Chicago Cubs in a start where he earned the win with 6 scoreless innings and 10 strikeouts a day after rejecting a trade to the White Sox. On June 12, Peavy learned he had a strained tendon in the back of his ankle, suffered in the May 22 start. He was placed on the DL the same day. At the time of his injury, Peavy was 6–6 with 3.96 ERA and 92 strikeouts. On July 31, Peavy agreed to a trade to the Chicago White Sox in a last minute trade deadline day deal for Clayton Richard, Aaron Poreda, Adam Russell and Dexter Carter. In his first start for the White Sox, Peavy pitched 5 innings, giving up 3 runs (all earned), and striking out 5, getting the win against the Kansas City Royals. Peavy went 3–0 in his time with the White Sox compiling his year's record to 9–6. In his 2009 stint with the White Sox he shut out the Detroit Tigers on two occasions. In 2010, Peavy started 2–5 with a 6.05 ERA. Peavy then won five consecutive starts with a 1.99 ERA. 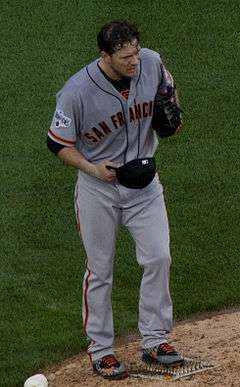 On July 6, while pitching in the second inning against the Los Angeles Angels of Anaheim, Peavy injured his right arm and immediately walked off the field. He was diagnosed with a detached latissimus dorsi muscle in his back. He underwent surgery on July 14, 2010 at the Rush University Medical Center in Chicago and was knocked out for the remainder of the season. Due to various injuries and fatigue, Peavy was limited to only pitching in 19 games in 2011. Peavy started 18 games and came out of the bullpen once for the first time ever in his MLB career. Peavy finished the season posting a win-loss record of 7–7 with an ERA of 4.92 and 95 strikeouts. Peavy was named the AL Pitcher of the Month for April 2012, pitching 3–1 with a 1.67 ERA and 33 strikeouts in 5 starts, all quality starts. Peavy threw 2 consecutive complete games and one shutout. On July 8, 2012, Peavy was selected to the All-Star Game as a replacement for C. J. Wilson. Peavy was awarded the 2012 American League Gold Glove Award, sharing the award with Tampa Bay's Jeremy Hellickson. It was the first Gold Glove award of his career. On October 30, 2012, Peavy signed a two-year, $29 million extension with a vesting option for 2015, keeping him with the White Sox at least through the 2014 season. On June 4, 2013, Peavy came out of a game against the Seattle Mariners in the fourth inning with a left rib fracture he was placed on the disabled list. Prior to that he had registered a 4.30 ERA, 1.16 WHIP and 66/15 K/BB ratio in 67 innings. He was activated from the DL and made his first start against the Atlanta Braves on July 20. On July 30, 2013, Peavy was traded to the Boston Red Sox along with Brayan Villarreal in a three-team trade, in which José Iglesias went to the Detroit Tigers and Avisail García, J. B. Wendelken, Francellis Montas and Cleuluis Rondon went to the White Sox. On August 3, Peavy had a winning debut as the Red Sox defeated the Arizona Diamondbacks 5–2. On October 30, 2013, Peavy and his fellow Boston Red Sox teammates won the World Series, the first of Peavy's career. After the victory parade, in which Red Sox players and coaches rode through the streets of Boston on duck boats, Peavy purchased the duck boat that carried he and teammate Jon Lester, to commemorate the season. On July 26, 2014, the Boston Red Sox traded Peavy to the San Francisco Giants along with cash considerations for pitching prospects Edwin Escobar and Heath Hembree. This trade reunited Peavy with manager Bruce Bochy. Having worn number 44 throughout his career, Peavy wore jersey number 43, since number 44 is retired in honor of Giants' Hall of Famer Willie McCovey. After losing his first three quality starts as a Giant, including a perfect game through 6 1⁄3 innings, Peavy switched his jersey number from 43 to 22 for good luck; number 22 was his jersey number from Mobile, Alabama. On August 13, 2014, in a 7-1 home win over his former team the Chicago White Sox, Peavy recorded his first career win as a Giant after switching numbers. On August 30, 2014, in a 3-1 home win against the Milwaukee Brewers, Peavy struck out Aramis Ramírez for his 2,000th career strikeout, three days after teammate Tim Hudson got his. He did not allow a hit until the eighth inning to Mark Reynolds. He won the first game of the 2014 NLDS against the Washington Nationals on October 3, 2014. On October 29, 2014, Peavy won his second consecutive World Series ring, despite losing both his starts, after the Giants defeated the Royals, 3-2, in Game 7. Peavy became the first starting pitcher in MLB history to win two consecutive World Series with two different teams in two different leagues. On December 19, Peavy agreed to a two-year deal worth $24 million to stay with the Giants. Peavy's repertoire includes six pitches, although he mostly uses a four-seam fastball at 88-92 mph and a slider in the low 80s. He also has a two-seam fastball, a curveball, a changeup, and a cutter. Peavy tends to throw the curve and change more against lefties, and he does not use his two-seamer or cutter often. As of June 23, 2016, Peavy has the 12th lowest career WHIP of active Major Leaguer. Peavy's two-seam fastball acts primarily as a sinker and induces many ground balls. This can allow Peavy to induce many double plays when runners are on base. Peavy likes to run his fastballs in on lefties and make the pitch break back into the zone, similar to a power version of Greg Maddux's technique. The natural movement of Peavy's pitches creates a heavier ball which helps to limit the number of home runs Peavy gives up, as he allowed only 13 in over 220 innings in 2007. Peavy married his childhood friend Katie Alford in 2000, when he was 19 years old. As of August 2013, Jake and Katie and their four sons live in his hometown of Semmes, Alabama in the off-season. Peavy is legally blind without corrective lenses. He is an outspoken Christian, and has been interviewed about his religion. Peavy has a tattoo on his forearm with the word "Outsider" on it. In 2008, Peavy bought a 5,000-acre (2,000 ha) ranch in Wilcox County, Alabama called Southern Falls Plantation. The property includes a bowling alley, saloon, hunting lodge, and replica of Fenway Park. In 2013, Peavy bought a World War II duck boat formerly used by Boston Duck Tours for tourist purposes, and special events like the 2013 World Series Parade for the plantation. He hopes it will become a family heirloom. During a World Series Game 6 pre-game press conference, Peavy's son let the media know that his dad would purchase the family a cable car for the ranch if the Giants won the 2014 World Series, which they did. Once shipped to Alabama, it was planned to be converted into a bar. Peavy is also a passionate fan of the Alabama Crimson Tide football program and was invited to be a guest for ESPN's College Gameday on the campus of Alabama in 2013. In 2015, Peavy admitted to being a smokeless tobacco user since he was in fifth grade. Peavy started playing guitar in 2002 when he and Tim Flannery were with the San Diego Padres . He has since performed at several benefit concerts. ↑ "Jake Peavy". Baseball-Reference.com. Sports Reference LLC. Retrieved 13 July 2016. ↑ "Jake Peavy: Biography and Career Highlights (2004)". MLB.com. Retrieved February 1, 2009. ↑ Krasovic, Tom (March 5, 2005). "Peavy gets four-year contract". The San Diego Union-Tribune. Retrieved February 1, 2009. ↑ "Painful loss: Broken rib ends Peavy's season". ESPN.com. Retrieved September 17, 2015. ↑ "Triple Crown Winners". Baseball-Reference.com. Retrieved November 14, 2008. ↑ "MLB – awards". Yahoo! Sports. Retrieved November 14, 2008. ↑ "Peavy wins NL Cy Young unanimously San Diego ace tops Senior Circuit in wins, ERA and strikeouts". The Official Site of Major League Baseball. Retrieved November 14, 2008. ↑ "Major League Baseball Cy Young Award Winners". YamaBay. Retrieved November 14, 2008. ↑ "Peavy clears last hurdle for extension Righty passes physical; announcement expected Wednesday". The Official Site of Major League Baseball. Retrieved November 14, 2008. ↑ "Dealing Peavy could help needy Padres". ESPN.com. Retrieved November 14, 2008. ↑ "Jake Peavy: Braves out of the running". RotoWire. Retrieved December 22, 2008. ↑ Brock, Corey; Merkin, Scott (May 21, 2009). "Peavy rejects trade to White Sox". MLB.com. Retrieved June 3, 2009. ↑ "Jake Peavy Statistics and History". Baseball-Reference.com. Retrieved September 17, 2015. ↑ Berry, Adam (May 2, 2012). "Peavy tabbed as AL's top hurler for April". MLB.com. ↑ "Sox's Peavy named All-Star replacement". July 8, 2012. ↑ "Jake Peavy Wins First Rawlings Gold Glove Award". October 30, 2012. ↑ "Jake Peavy and Chicago White Sox Agree to a Two-Year $29 Million Dollar Deal". October 30, 2012. ↑ "Sports – Post-Tribune". chicagotribune.com. Retrieved September 17, 2015. ↑ "Red Sox acquire Peavy in three-way deal". July 30, 2013. ↑ "Final: Red Sox 5, Diamondbacks 2". boston.com. August 3, 2013. ↑ Wilhalme, Matt (July 26, 2014). "San Francisco Giants acquire Jake Peavy in trade with Boston Red Sox". Los Angeles Times. Retrieved July 27, 2014. ↑ "Report: Giants to acquire Jake Peavy from Red Sox". NBC Sports. July 26, 2014. ↑ "Giants acquire righty Jake Peavy from Red Sox". ESPN.com. Associated Press. July 26, 2014. Retrieved July 27, 2014. ↑ "Boston Red Sox Trade Jake Peavy". ↑ "MLB.com Gameday". mlb.com. Retrieved September 17, 2015. ↑ "Jake Peavy records milestone strikeout in near no-hitter". AL.com. Retrieved September 17, 2015. ↑ "NLDS: Jake Peavy outpitches Stephen Strasburg, leads San Francisco Giants over Washington Nationals, 3-2". cleveland.com. Retrieved September 17, 2015. ↑ "Giants stay the course, re-sign Jake Peavy to two-year deal". Yahoo! Sports. December 19, 2014. Retrieved September 17, 2015. ↑ "Brooks Baseball · Home of the PitchFX Tool – Player Card: Jake Peavy". Brooks Baseball. Retrieved August 1, 2012. ↑ "Baseball Reference Career WHIP (Active)". baseball-reference.com. Retrieved June 23, 2016. ↑ Krasovic, Tom. Peavy, 'pen stifle Cards for Padres' 16th shutout, The San Diego Union-Tribune. Published August 8, 2007. ↑ "Jake Peavy Statistics and History". Baseball-Reference.com. Retrieved May 27, 2010. ↑ Center, Bill (April 4, 2005). "It all started in Semmes". UT San Diego. Union-Tribune Publishing Co. Retrieved October 16, 2013. ↑ Abraham, Peter (August 13, 2013). "Jake Peavy brings an 'inner fire' to Red Sox". The Boston Globe. Retrieved October 16, 2013. ↑ "Peavy fully healthy ... except for his eyes". ESPN.go.com. Retrieved August 3, 2013. ↑ "Jake Peavy: Pitcher to Be Feared". ↑ "About Southern Falls Plantation". Southern Falls Plantation. Retrieved March 9, 2016. ↑ Inabinett, Mark (June 2, 2015). "Take a tour of Jake Peavy's home, Southern Falls Plantation". AL.com. ↑ Keates, Nancy (December 4, 2014). "Pro Athletes Ditch the Glitz for Their Childhood Hometowns". The Wall Street Journal. ↑ Burgess, Bobb (November 2, 2013). "Red Sox' Jake Peavy buys duck boat". The Boston Globe. ↑ "Alabama, Baseball and Southern Falls Plantation". Busch League Sports. April 16, 2014. ↑ "Jake Peavy's son spills beans on plans to buy cable car if Giants win Series". Yahoo! Sports. October 28, 2014. Retrieved September 17, 2015. ↑ SI Wire. "Madison Bumgarner, Jake Peavy have been dipping since fifth grade". SI.com. Retrieved September 17, 2015. ↑ "Jake Peavy and Tim Flannery perform 'Pancho and Lefty' in hotel stairwell". Yahoo! Sports. September 3, 2014. Retrieved September 17, 2015. ↑ "How SF Giants' Jake Peavy repaid Tim Flannery for the gift of music". San Francisco Giants: The Splash. Retrieved September 17, 2015. Wikimedia Commons has media related to Jake Peavy.